July 31, 2018– Kristin Lewicki, nicknamed “Wheels” for her dazzling speed that enabled her to win the Fastest Skater competition at the 2018 NWHL All-Star Game, is moving from the Isobel Cup finalist to the champions. Lewicki has signed with the Metropolitan Riveters for the 2018-19 season. 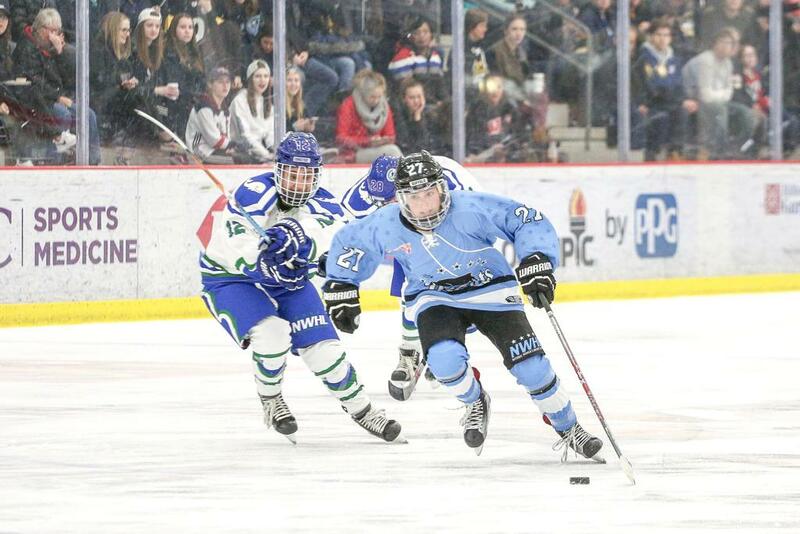 After graduating Adrian College in 2017, Lewicki signed with the Buffalo Beauts and was an integral part of a team that advanced to the Cup Final. In 14 games, she had 5 goals and added 2 assists and was selected to play the 2018 NWHL All-Star Game in Minnesota. Lewicki has a deep appreciation for the Beauts organization, which was purchased last year by Pegula Sports and Entertainment – the owners of the Buffalo Sabres. At Adrian, Lewicki scored 90 goals and added 89 assists for 179 points in 111 games. In her senior season, she was nominated for the NCAA Woman of the Year Award, honoring graduating female student-athletes for academic and athletic achievement, service and leadership. That season, she had 32 goals and 34 assists and led Adrian to the Division III national title game.